LEDGlow's Red LED Pod Lighting Kit is a stylish lighting package that features five ultra-bright red SMD LEDs per pod light. Each kit features eight .30 of an inch thick pods that will add a crisp and vibrant red underglow to your bike. 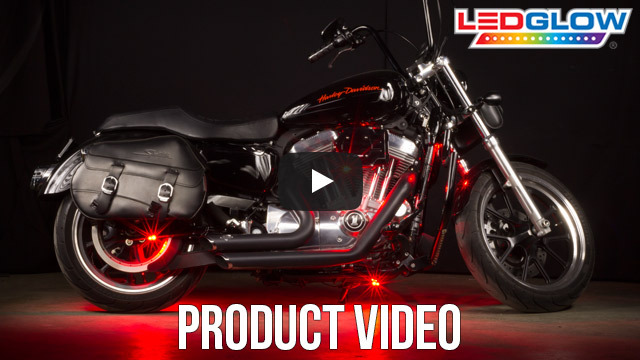 LEDGlow's Red LED Pod Lighting Kits add custom red accent lighting to your motorcycle or ATV at an affordable price. Each pod features 5 LEDs, is only a .30 of an inch thick, and will add a crisp and vibrant red color to your bike. Each pod features a modular connector that lets you power this kit with either a control box, on/off switch, or by simply connecting it to any 12 volt power source. Each waterproof LED pod includes 3 feet of power wire, 3M tape, and mounting screws for a quick and easy install. 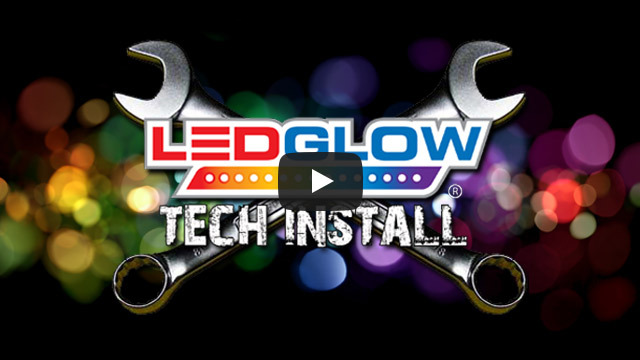 LEDGlow includes a one year limited warranty and free technical support with every Red LED Pod Lighting Kit. I purchased the 10 pod set in blue. The quality of the individual pods are the best I have seen. The only issue I had was with the on/off switch. It is poorly soldered together and one of the leads came off during installation. Luckily I have a soldering station and was able to repair it however I neglected to remove the fuse when soldering and it blew it. Could not find a replacement fuse at the auto store so I ended up bypassing it for the time being. Overall I am happy with the set but for the money you you would expect a little better on/off switch.